Browse below for the latest updates about our community, as well as our recent events newsletters from the lifestyle director to get a glimpse at life at Lake Arrowhead. Presented by Lake Arrowhead on Move-In-Ready Inventory! 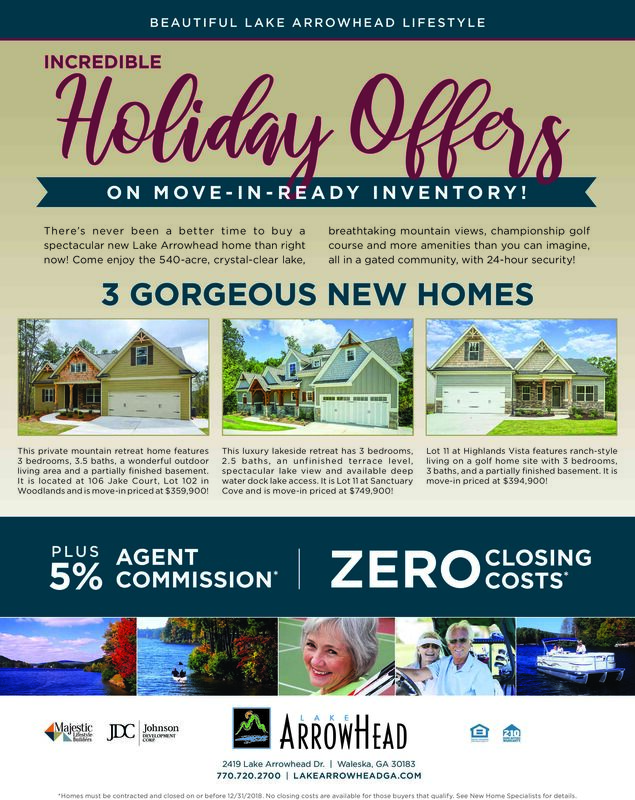 Three gorgeous, new, move-in ready homes are available right now at Lake Arrowhead -- all at incredible pricing and some very special Holiday incentives! Selling Agents get 5% COMMISSION* and Buyers get ZERO CLOSING COSTS on Lot 102 in Woodlands, Lot 11 at Sanctuary Cove and Lot 11 at Highlands Vista. Homes must be contracted and closed on or before 12/31/2018. No Closing Costs are available to qualified buyers only. See a New Homes Specialist today for a specific description of each available move-in-ready home, pricing and all details of this Special Holiday Offer! 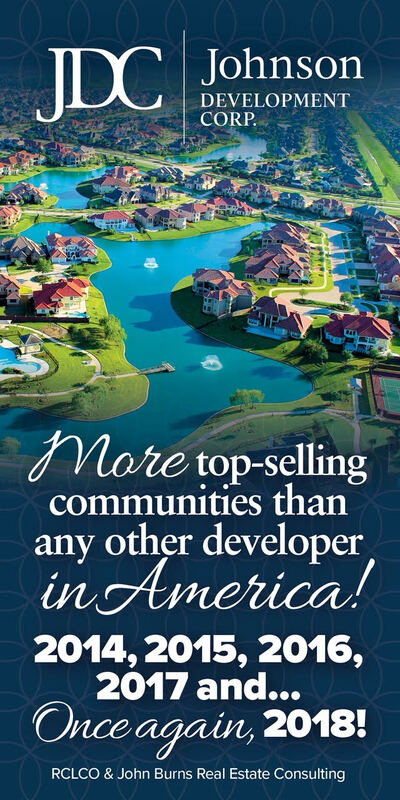 Come enjoy this gated community with 24-hour security, featuring a crystal-clear, 540-acre lake, breathtaking mountain views, championship golf and much, much more! For more information on Lake Arrowhead homes, click here.